Hospitality Packages at the Formula One Grand Prix in Abu Dhabi! We can supply an experience of a lifetime with a trip to the Abu Dhabi Grand Prix, our packages will help you experience the sight, sounds and atmosphere of the Grand Prix in the Middle East. Please call us at Grand Prix Adventures on 01382 480 077 to find out more on what is on offer at this great event and more on our hospitality itinerary. Hermann Tilke designed the circuit in Abu Dhabi and the race was accepted, constructed and ready for Formula One Racing in 2009. The first test run on the circuit was done by the nephew of the late Ayrton Senna, Bruno Senna. The venue itself is located on Yas Island about 30 minutes from Abu Dhabi: the capital of the United Arab Emirates. 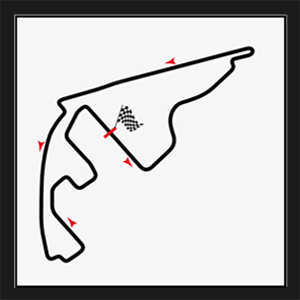 This is the second of only 2 F1 circuits in the Middle East, the other being Bahrain which occurs back in April. The race was the first to be a DAY/NIGHT affair, the floodlights are turned on from the beginning of the race to ensure a seamless transition in lighting when the sun goes down. "GPA have been outstanding and we cannot thank you guys enough for the hospitality. THANK YOU! :-) "
VIP Grand Prix Hospitality Packages Available for the GP in Abu Dhabi. You will have a 5 nights stay at the 3-Star Centro Hotel in Abu Dhabi, spectacular views of the track from Al Dhiyafa Hospitality which will include refreshments. Five or more nights relaxing in the remarkable Al Raha Beach hotel with its wonderful beaches, pools and restaurants with a VIP hospitality package for the race from the 5* Yas Hotel. You will experience the best of both worlds!. Included will be 7 nights hotel accommodation; 2 nights at Atlantis Dubai Hotel and further 5 nights on Yas Island at the 4-Star deluxe Rotana Hotel. Spectacular views of the track from The Al Dhiyafa Hospitality suite will add that extra sparkle to your trip! This package includes two nights in the exciting city of Dubai at the 5-star Atlantis Hotel and further five nights at The Yas Hotel (5-Star) which is located on the track. VIP transportation, spectacular views of the track from the Marina Hospitality suites and Ferrari World tickets are also included in this luxurious package. The Yas Viceroy Hotel is one of the most spectacular locations to watch the Formula One. The adventure includes the sensation of the Formula 1® cars passing underneath the hotel. With 5* catering, open bar and one of the most memorable views of any track, this is a F1 experience not to be missed. Full VIP hospitality from above the support paddock with panoramic views of the Yas Marina Circuit includes an open bar, 3 course meal, canapés, reserved seating and private washrooms. Come and enjoy this spectacular event under Floodlights as the races start off in the day and goes on into the night under bright illuminations. The President of F1 Bernie Ecclestone stated about the Yas Marin Circuit as "one of the most exciting tracks I have ever seen" and Nico Rosberg commented on all the corners were "UNIQUE", enough said! Though not all the drivers are fans with Fisichella claiming that it was both very difficult and dangerous. Since the race has opened it`s door we were there for the very first year to offer our clients F1 Hospitality Tours to this unique and exciting event and we get the most repeat customers returning year after year to visit the grand hotels! This is more than a Grand Prix Adventure it is also one GREAT holiday and you can spend much of your time relaxing by the pool, sight-seeing, shopping and enjoying the sun on the beach. Then in the evening the real fun begins with hospitality and amazing views of the GP circuit. We have a great deal of experience now offering fantastic hospitality for our F1 fans with tours for all the big GP races. This makes us the ideal tour operator to help you have the most luxurious and memorable Grand Prix Adventure. We have driver meets, this is where you can meet great F1 drivers like David Coulthard ! As well as driver meets we have lots of celebrity parties to fill up the time between races. Including some of the best of the best dinners in the most high end restaurants. If its the high life and an adventure of a life time then you have come to the right place! Call us on +44(0) 1382 480 077 to discuss our events, holiday plans and spectacular F1 experience.